The Islamist supporters of deposed Egyptian president announce they will boycott a referendum on a new constitution next month. The Islamist supporters of deposed Egyptian president Mohammed Morsi will boycott a referendum on a new constitution next month and organize a campaign against the vote, a spokesman said Monday, according to AFP. The Anti-Coup Alliance led by Morsi’s Muslim Brotherhood movement had initially considered calling on its supporters to vote against the constitution, according to the news agency. However, an extensive police crackdown on the Islamists has decimated their grassroots network, weakening their chances of defeating the new constitution at polls. “We reject any vote under military rule,” declared Hamza al-Farawy, a spokesman for the Anti-Coup Alliance, which demands Morsi’s reinstatement. Farawy told AFP the coalition of Islamist groups, which conducts almost daily protests, would launch a boycott campaign. He did not elaborate on how the campaign would unfold, as thousands of Islamists, including the Brotherhood's top leadership, have been arrested. 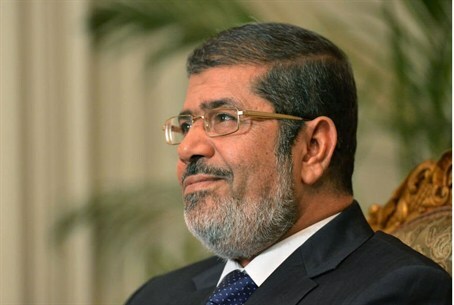 Morsi himself is behind bars, accused of inciting violence against protesters last year. The new constitution will be the first step in the army's political transition plan that should conclude with parliamentary and presidential elections next year. The revised charter, approved several weeks ago, preserves the military’s wide-ranging powers, including the ability to try civilians in certain cases. This has angered secular groups that backed the military in ousting Morsi. One article says that “no civilian can be tried by military judges, except for crimes of direct attacks on armed forces, military installations and military personnel.” Secular artists have demonstrated against this provision, saying it could be applied to protesters, journalists and dissidents. The Muslim Brotherhood was quick to reject the new constitution due to the fact that it preserves the military’s wide-ranging powers, including the ability to try civilians in certain cases.